Cellular phone coax, cell phone adaptor at Super Low Prices, cell phone coax, cellular accessories for Wilson Cellular Equipment. Cellphone splitters, Wilson cell phone adaptors, cellphone coax connectors, repeater amplifiers and antennas. Also see our cell phone booster amplifiers and wireless repeater amps to increase signal 100%+. GI Joes Electronics. *Wilson Electronics Adaptor with 5" cable that connects cellular antennas to your phone model. *This item is required for Wilson Direct Connect repeater Amplifiers. *CLICK "VIEW DETAIL" FOR MORE INFO. *The 6V kit (8599923) is for the newer dual band and smart amplifiers. *The 12V kit (8599905) is for the single band amplifiers. *Choose kit after clicking "View Detail". *For wiring Wilson amps directly to a DC power source. *Includes a remote on/off switch with extra cable. *Connects Wilson amplifiers to a to cigarette lighter socket. *The 6V adaptor (859913) is for Dual band and Smart Amplifiers. 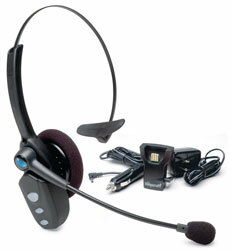 Blue Parrot Wireless cell phone head set B150TK, bluetooth and Noise Canceling! *Used to hook up two in-building antennas to a Wilson amplifier. -Wislon 2' in-building coax jumper #951113 is needed to connect the surge protector. *Three pack of 5" replacement ground radials for the Wilson Trucker cellular antenna model #301101. *Used to hook up the Direct Connect amp to an AC power source (in-building). *Also will replace other Wilson In-Building amplifier power supplies. *Just plugs into any 120V wall outlet. The other end plugs into the amp. *Amp to "phone adaptor" extension for Direct Connect amplifiers. *A 6ft coax is included with Direct Connect amplifiers which is Used to hook your phone w/adptor to the amp. *You can add this 6ft extension if more length is needed between the amp and the adaptor. *2 N-Male Connectors on each end. -Two extra adaptors below included. *You will need two of these to hook up two antennas to the Wilson splitter. *This item adapts the antenna coax to the Wilson splitter. *Used to connect (2) 9913 in-bulding coax with N Male adaptors together.